Language is an interesting thing. We rely so much on language and yet so rarely contemplate its inner workings. I just wonder if some of our communication problems, and the number of arguments we always get into around trivial and important issues could be reduced if we realised that language is inherently ambiguous, and that maybe for some kinds of discussion we need to shift into a different mode of awareness? We can model dynamic systems using the chaordic model of Dee Hock (the founder of VISA) who took his inspiration from dynamic systems in nature. If a system has too much control then the system is one of oppression and will not evolve, as there can be no room for creativity. Likewise, if a system is too chaotic with too few rules, the system will collapse. There is a sweet spot in living dynamic systems, a zone where ambiguity enables the emergence and creation of new meanings to arise, a form of innovation if you like. This is where language lies, in that although language can never truly model reality, it can guide us towards a deeper comprehension of that which we are aiming to understand. In the English speaking world of business management and theory, we are now used to words such as “sensemaking” “mindfulness” and other such phrases as “the dynamics of seeing”. It is interesting teaching these concepts in Brazil, since Portuguese is a language which while poetic and lyrical, often does not lend itself to literal translations. This is no bad thing, since as a teacher the onus is on me to find a way to communicate concepts relating to human experience, and for this sometimes language can get in the way, and more experiential exercises are required, such as playing with prisms in order to explore Goethe’s Theory of Colour. You have to be brave to take on the journey of transformation through fire. Gunther Sonnenfeld has captured these stages well in his excellent article on conscious capitalism and the reinvention perfume industry in France. As various groups got deeper and deeper into developing a new perfume ecosystem, their interactions — emotions, touch, communications, understandings — went directly into their thought processes. It was as if they didn’t have to think about what they were doing… they were just doing it, creating it, manifesting it. As such, their storytelling capabilities were amplified and they were literally able to express their insights in incredibly inventive ways. And when I talk of story, I really do mean the telling of it through agents, actors and archetypes… Which was omnipresent throughout this experience. Pity the novice or journeyman programmer who has not yet realised that his process of debugging is flawed. All too frequently I see less experienced programmers (a) jumping to an early conclusion about the cause of a fault and then (b) modifying the code to ‘fix’ the problem based on this conclusion. Jumping to the wrong conclusion too early happens time and time again and you will see it happening many times a day in most software companies. Charles is writing a series of articles on the phenomenology of software design, and he is explicitly influenced by Goethe’s ‘delicate empiricism’. Goethe’s science is not widely taught in schools, universities and certainly is little mentioned in the vast majority of business literature. I feel that I have managed to help many business students make breakthroughs in their own creativity and innovation by helping them to ‘think about thinking’ which an immersion into Goethe’s phenomenology provides us with. I was therefore delighted to discover the writings of Bill Storage on his blog The Multidisciplinarian, and especially a recent article Epistemology of Innovation in which he compares the way of science of Newton and Goethe. His own article was itself inspired by the work of Bruce Vojak who has been publishing some excellent articles on the subject of philosophy, epistemology and innovation. I would just offer one word of caution. In his essay on Goethe and Newton Vojak appears to be placing Goethe in a diametrically opposite camp to Newton (Essay 18: “Patriarchs of contemporary innovation: Newton & Goethe”). There is a danger in writing such succinct articles that the deeper insights from these two great thinkers gets lost, especially the common ground which is a comprehension of wholeness, of which Henri Bortoft was able to articulate to an absolute exemplary degree in his book The Wholeness of Nature: Goethe’s Way of Science. 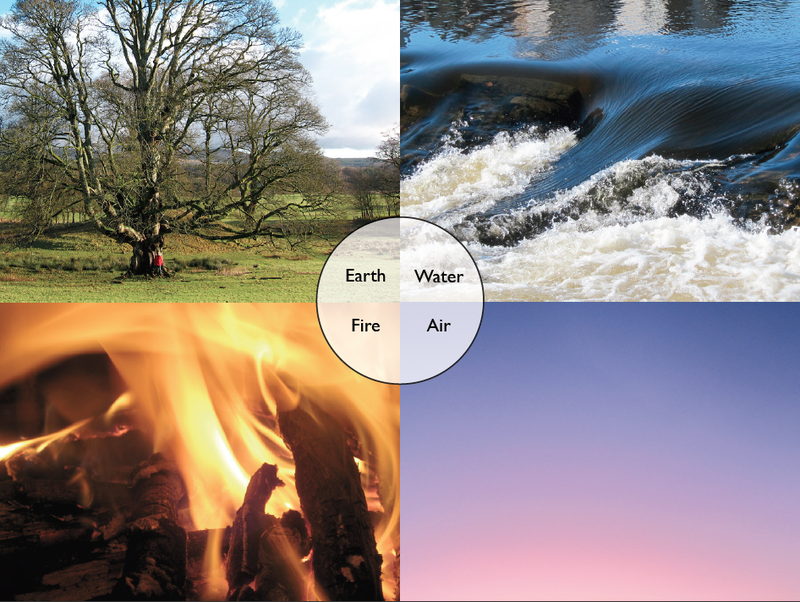 Vertical learning catalyzes a quantum increase in mental complexity. This radically improves a leader’s ability to navigate today’s highly complex, ambiguous, and rapidly changing context, and cascade those new skills into the entire organization. Vertical learning has proven to unlock powerful yet latent mental, emotional, and relational capacities that make leaders more effective across a variety of mission-critical domains. These include improved strategic and systemic thinking, change leadership, stakeholder relationship development, and conflict management. When we look at the research, it appears that very few business leaders are able to reach the higher levels of consciousness. I would say that there are many reasons for this, but for me, we can develop our consciousness and experience a transition of consciousness through expert guidance influenced and inspired by a philosophy informed by phenomenology, and as I hope I have shown by all these amazing examples, this approach is being adopted and integrated in many different business arenas. I have written many different articles on these themes, and if you are interested please take a look in my Key Articles section. Thanks for this Simon, you have some great links there. 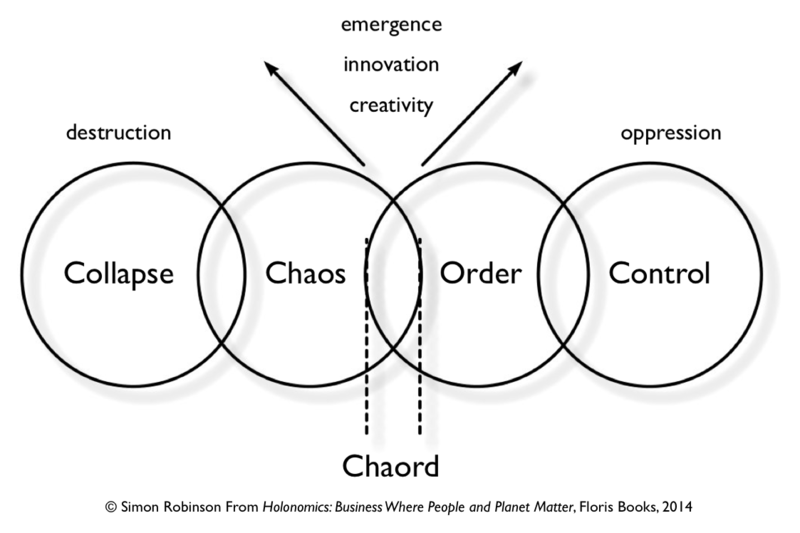 I don’t know why I haven’t connected to it before – but the Chaord idea fits the experience of software development in an economic context quite well. Programmers in the industry are forever having to sit between the chaos of the business imperative to get the new stuff in there RIGHT NOW, and the need to do ordered work producing good designs, taking our time. Going to the extreme of either pole is a problem. Either you fall into chaos and ‘thrash’ (just like a computer with not enough disk or memory), or you get into ‘analysis paralysis’ spending all the time tweaking some design without shipping it while the company fails around you. The idea is to ride the wave in the middle, pragmatism vs perfection. Every day, no – every hour – I have to keep asking myself – “Am I using my time in the most efficient way”. This can be hard when you have the problem of not enough slack in the organisation, a frequent phenomenon in today’s economic climate. Holding to the middle requires one to develop inner forces and discernment so you can hold focus, even during a chaotic episode. These abilities are perhaps THE major lessons I have learnt in 30 years of developing big software systems. Hmmm. Lots of food for thought in your post which I will follow up, and many thanks for the links to my blog. I am still working on the style and place of imagination in software development at the moment – coming soon – although am taking a slight detour into Mark Johnson’s “The Body in the Mind” for a while. Hi Charles, I’m glad you enjoyed the article. I think I wanted to write this since when you actually read say Heidegger or Merleau-Ponty, they were writing in a different era for a different audience and sometimes it is as if they were not so focused on really working on making themselves understood. Also, they rarely seemed to offer practical experiential ways into their insights, but this for me is one thing that Goethe did offer us. I am of course looking forward to seeing how your ideas develop.